Subject property is a 16 acre tract located at the signalized intersection of Highway 17 and Graystone Boulevard/Highway 179 in Little River. 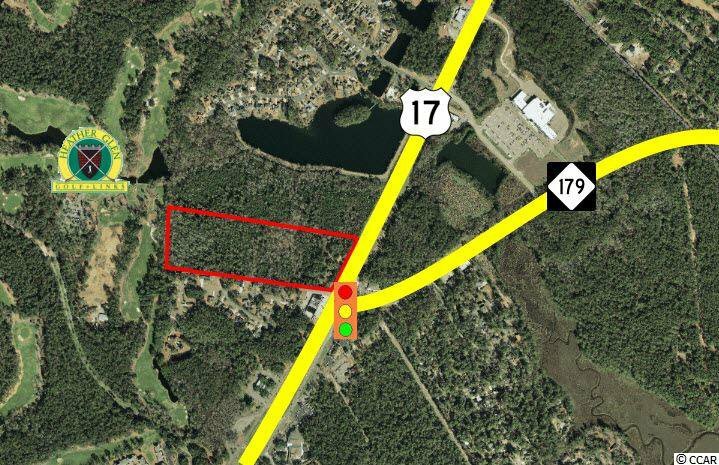 This property is split-zoned Highway Commercial(HC) and Commercial Forest Agriculture(CFA) by Horry County, and offers approximately 510’ frontage on Highway 17. Subject property backs up to and offers approximately 525’ frontage on Heather Glen Golf Course. Highway 17 offers a traffic count of 19,000 vehicles per day. Highway 179 serves as the main traffic artery feeding the immediately-neighboring towns of Calabash and Carolina Shores. The immediately adjacent 400 acre property is being planned and developed by DRHorton as a 1000 plus unit subdivision. Listing courtesy of Tradd Commercial, LLC , Stokes Graves.